The third Istanbul airport will open on Oct. 29, Transport Minister Ahmet Arslan announced Saturday, as he visited the construction site. Eighty percent of the construction of the airport, which will be one of the world's biggest, is completed, Arslan told reporters. The project is designed to accommodate growing traffic in a major hub. It is expected to open on the 95th anniversary of the establishment of the Republic of Turkey. Under President Tayyip Erdoğan, Turkey has built high-speed railways, suspension bridges and undersea tunnels to boost the construction industry and domestic demand. The airport is among Turkey's mega-projects which include a third bridge across the Bosporus that opened in 2016 and plans to build a huge canal in Istanbul that would render a large chunk of the city an island. Incoming flights will be directed to the new airport from the existing Atatürk Airport as soon as the new one opens, Arslan said. The transition to the new site will be completed in 48 hours. The airport will be large enough for 114 planes to dock at the same time, the minister said, adding that it would employ 225,000 people when fully operational and would serve 3,000 flights on a daily basis. Arslan said around $10.2 billion was invested in the project and that it would generate around $22.2 billion in 25 years before value-added tax. Istanbul's Atatürk Airport is among Europe's five busiest airports, recovering in 2017 from a downturn in passenger traffic the previous year. It will be closed after the new airport opens. Istanbul is a major hub for transit flights, attracting lucrative transfer traffic this year from major airports in the Gulf as Turkey recovers from security worries, according to travel data analysis company Forward Keys. When the first phase of the airport is completed, it will have a capacity for 90 million passengers. With a completion of four stages, the airport is expected to serve 150 million passengers and to provide opportunities for flights to more than 350 destinations for nearly 100 airline companies. According to the best-case scenario, as of 2025, a total of 120 million passengers, including 35.5 million domestic flights and 84.9 million international flights, were expected to be operated in and out the airport. 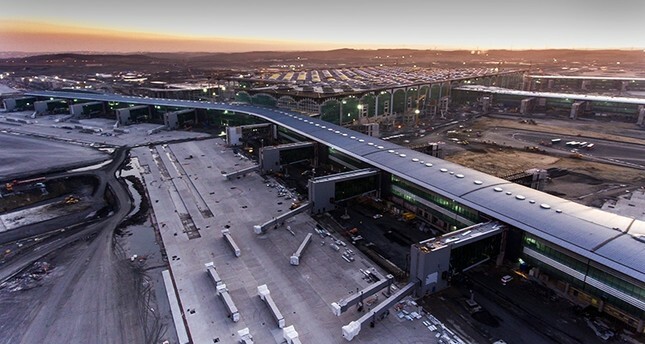 Istanbul New Airport, which is expected to be the largest airport in the world when fully completed in 2023, will serve as Turkey's primary airport and a hub for connecting flights between Europe and Asia.